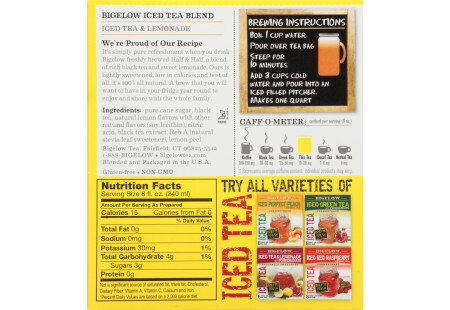 For pure refreshment, indulge in the taste of rich black tea and sweet lemonade the way it should be enjoyed... fresh brewed! 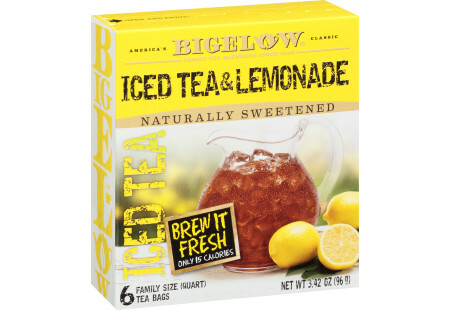 Six family size tea bags each make a full quart of perfectly blended tea and lemonade in just minutes, in the convenience of your own kitchen. 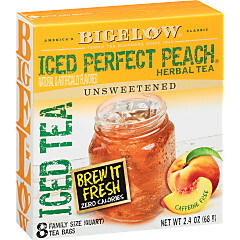 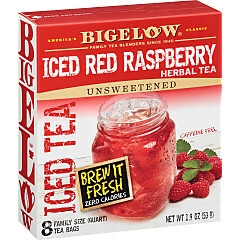 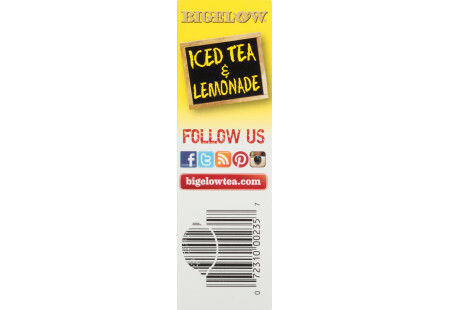 Lightly sweetened and full of flavor, Bigelow Iced Tea & Lemonade weighs in at only 15 calories and costs just pennies a glass.